Love mashed potatoes, but trying to cut calories? 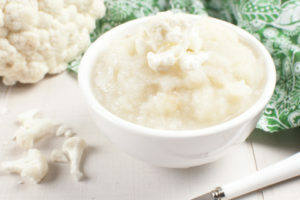 Mashed cauliflower has a similar taste and texture for a fraction of the calories. Another bonus: Cauliflower also contains phytochemicals and has demonstrated anti-cancer effects. Steam cauliflower. When cauliflower is soft, drain and place in blender with butter, salt and pepper. Place in bowl, and stir in rosemary and Parmesan cheese. 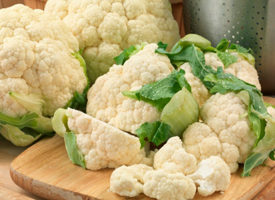 *Can also use frozen cauliflower; simply boil and drain well before placing in blender.